A look at the legacy of fmr. press secretary Jim Brady, who was severely wounded in the assassination attempt on President Reagan. He was a senator, majority leader, Ronald Reagan's White House chief of staff, ambassador, and a Tennessee gentleman. Howard Baker died on Thursday at the age of 88. Ken Duberstein, initially Baker’s deputy while in the Reagan White House and ultimately Baker’s successor in the role of chief of staff, reflects on his mentor. 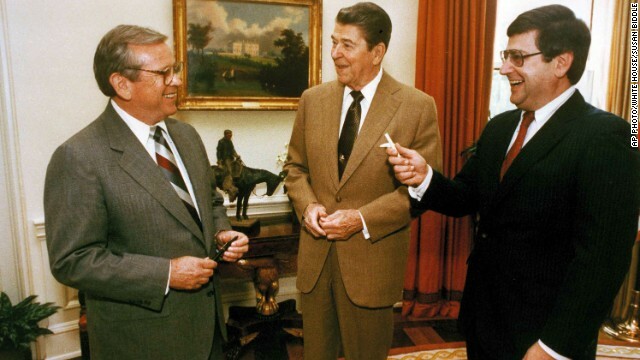 “Howard Baker restored the integrity and credibility to the Reagan White House following the Iran Contra crisis,” said Duberstein in a phone interview from his Washington, D.C. office.